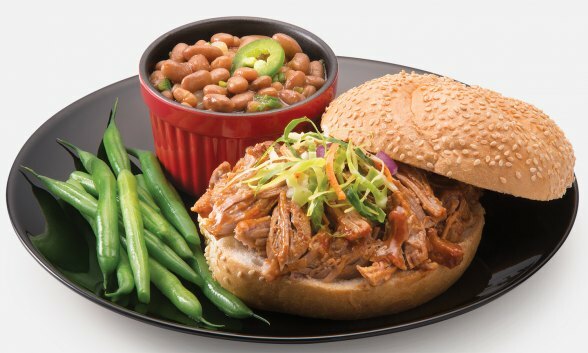 With cooking pot in Presto® Electric Pressure Cooker Plus, add beans and water. Select SAUTÉ and bring water to a boil; boil for 1 minute. Press CANCEL. Allow beans to soak uncovered for 1 hour. Drain water; remove beans and set aside. With cooking pot in electric cooker, select SAUTÉ to preheat. Add oil, onion, jalapeño, and garlic; sauté until tender. Stir in flour, chili powder, cumin, paprika, and salt; cook 1 minute. Press CANCEL. Add beans and 2 1/2 cups water. Close cover. Place quick pressure release valve on vent pipe. Select BEANS and cook for 8 minutes. When time is up, allow pressure to drop of its own accord. Season to taste with salt and pepper.